E-Space Photography @Kunst in eigen Huis! 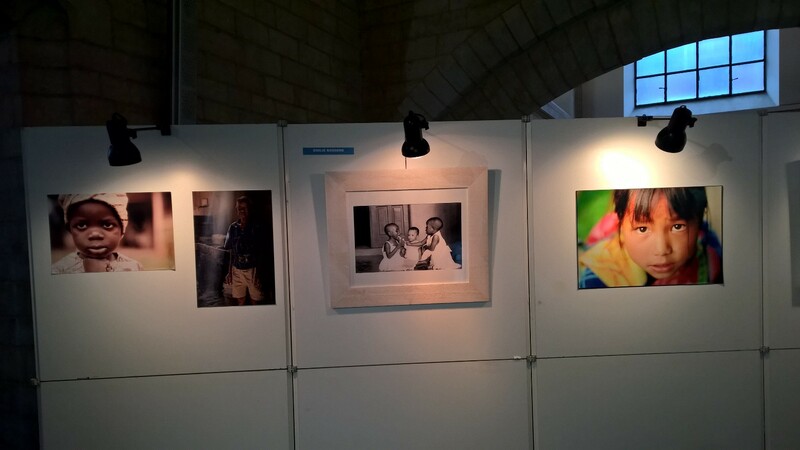 E-Space Photography was a guest exhibitor at the “Kunst in eigen Huis” (Art at Home) event on 22-23 October 2015 in Leuven, Belgium. This event was organized by Senioren KU Leuven (the seniors club of the university) and students of Cultural Studies. It shows art by seniors and students, bringing an emotional dialogue between generations in expressions of fine arts, music, poetry and performance. Wonderful contrasts could be sensed in excellent photographic work by both generations of photographers. The E-Space Photography pilot was proud to be present, as its theme is exactly that: stimulating the creative energy that emerges when youths interact with cultural heritage. We decided to show part of the E-Space collection, supplied by Photoconsortium, a beautiful sample of highlights of the photo collection at the City Archive of Leuven, part of the “All Our Yesterdays” exhibition digitized with the help of European subsidies in EuropeanaPhotography. 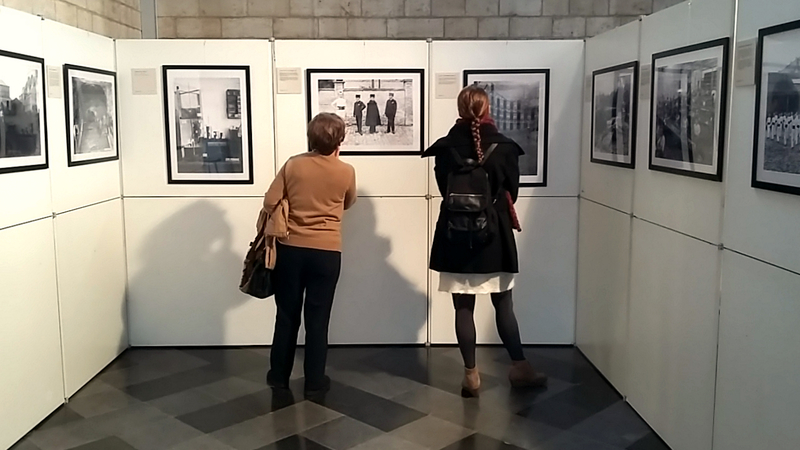 During the nocturne, Prof. Fred Truyen, coordinator of EuropeanaPhotography and president of Photoconsortium, showed some other top pieces of the All Our Yesterdays collection. It is always heartwarming to see how photography triggers emotions in generations young and old, how it rekindles memories and fosters dreams. Exhibiting artists senior Omer Gevers focuses on viewpoints, traveller Niamat Ali Khan does absolute magic with color & composition, student Emilie Bossens captures people with an amazing passion and tenderness. Translating this positive energy into new applications and business models is one of the main goals of the E-Space photography pilot: how can creative industries tap into the power hidden in the treasures of past photographic heritage as it is captured in the collections on Europeana and link it to the world of the smartphone and the web. 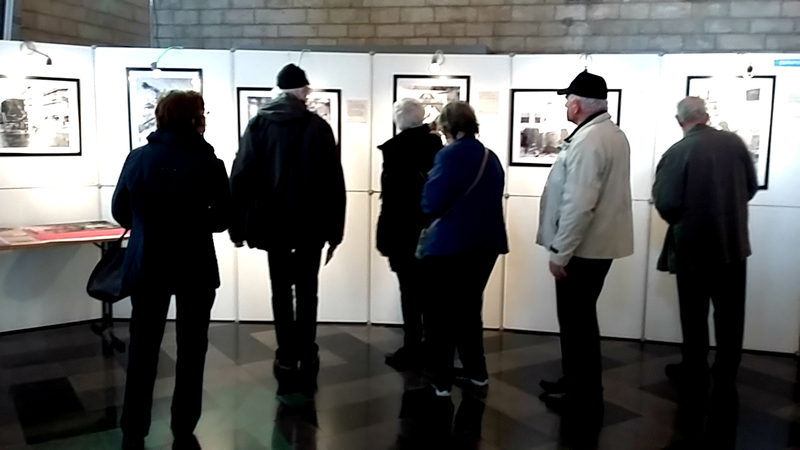 E-Space invites seniors, students, citizens of Leuven and surrounding alike to come to the “Photographic Memories Workshop” event on Friday, November 27th, at the City Archive Leuven. Top digitization specialist Bruno Vandermeulen will digitize your old photos using state-of-the-art technology, and photographer Frederik van den Broeck will do a wet collodion demo.